UK military capacity has been “hollowed out” to such an an extent, that it could lose its entire fighting force in a single engagement, should a “threat from the East” emerge, claims a new paper from the authoritative Centre for Historical Analysis and Conflict Research (CHACR). The document was published following a two day gathering of Britain’s leading military experts and officials. Was report on bad guy Russia’s military superiority deliberately leaked to score MoD funding? Although the paper admits the country “might not be facing an immediate risk of a direct attack by a foreign state,” it states there are “plausible scenarios” in which the UK could get dragged into a war - say with Russia - while supporting a NATO ally, for example, as cited by the Sunday Times, which exclusively trailed the document. 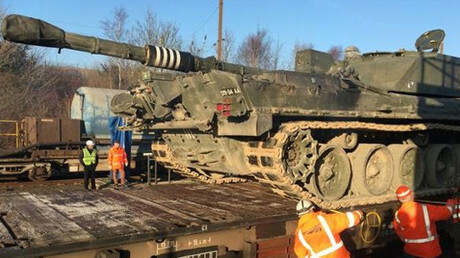 “This raises an important question: is the British Army ready for such a possibility? 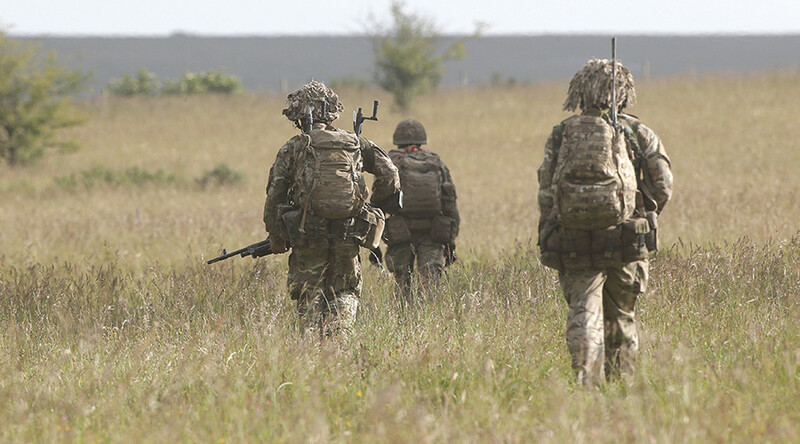 If one merely sees preparedness through net manpower and kinetic force capacity, the answer might be a simple ‘no’: the British Army is at its smallest and has suffered years of budget cuts,” the research paper read. 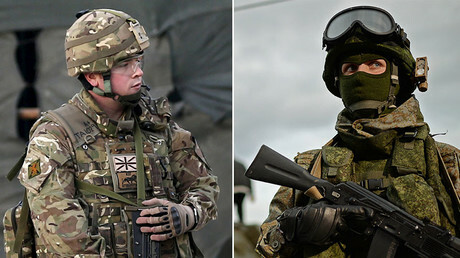 According to the International Institute for Strategic Studies (IISS), the UK has just over 83,000 full-time soldiers, and 102,000 reservists, while Russia has 750,000 active personnel, with well over 2,000,000 fighters in reserve. The UK’s only “war-fighting” division will be expanded to 50,000 following the completion of a reorganization this year. According to CHACR, having such a relatively small battle-ready force is not only a disadvantage in itself, but could make British commanders extra-cautious in any potential engagement. “The ‘prospect of losing the division in an afternoon’ will weigh heavily on the chain of command . . . as politicians appreciate the stakes involved in committing the division to battle,” say the authors. Furthermore, the UK would struggle to even transport its force to any theater of war, with its current fleet only capable of carrying three brigades – about 5,000 strong – at any one time. Authors say the rest would rely on chartered or commandeered commercial ships and aircraft. “The ability to get an entire division’s component parts swiftly and safely into a theatre of operations is identified as a key concern,” the paper states . The situation is the result of the “hollowing out or deletion of the army’s deployed capabilities,” which means the army “might struggle” to participate even in a conflict as limited as the intervention in Iraq in 2003, for which the UK had months to prepare. The IISS said notably that the UK spends only $9 billion less on its armed forces than Russia - $56.2 billion in 2015, compared to Russia’s $65.6 billion - and still has the fifth-highest defence budget in the world. 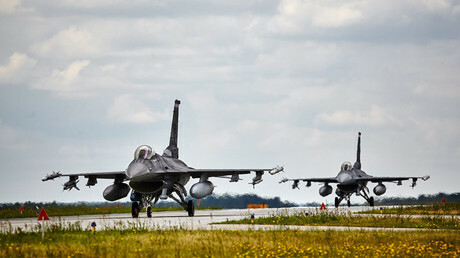 This is not the first time senior UK military officials have warned about Russia’s military superiority, whether out of urgent concern, or a desire to attract attention from a busy government. Last August, a report was leaked to the Times, claiming that Moscow enjoyed a "significant capability edge" in advanced equipment, as well as a better grasp of cyber warfare and latest high-tech battlefield techniques, such as GPS hacking.